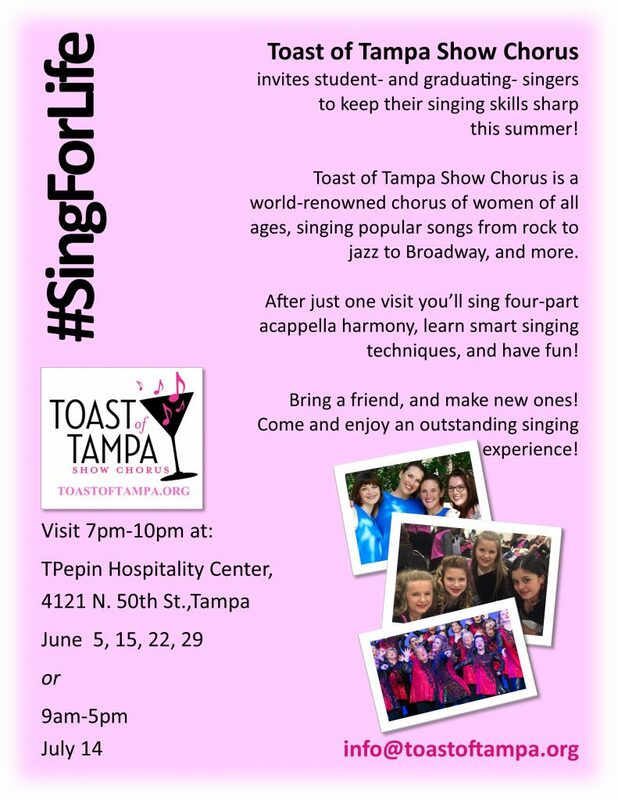 Student, and recently graduated female singers under 25 years old are invited to keep their singing skills sharp this summer with the world-renowned Toast of Tampa Show Chorus. The 100-member chorus sings everything from rock to jazz to Broadway, and more! After just one visit, you’ll sing four-part acappella harmony, learn smart-singing techniques, and have fun. Please note there there may be a fee to participate in classes, workshops and Choir performances. Bring a friend, and make new ones! Come and enjoy an outstanding singing experience!